Christians worldwide believe that Jesus is God. But this belief wasn't the starting point for Jesus' earliest followers. While Jesus' humanity was a given for the disciples, his divinity was a truth they grew into believing--it was a journey of faith. As Christians today, we are also called into a faith journey--this time, to rediscover Jesus' humanity. Yes, we believe that Jesus is God, but do we truly believe that Jesus is human? And if so, how does that transform our own experience of being human? 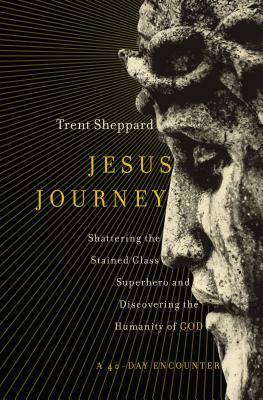 Through eye-opening yet down-to-earth reflections, Jesus Journey invites you to encounter Jesus again--as if for the first time--by experiencing his breathing, heart-beating, body-and-blood, crying-and-laughing humanity. Join Bible teacher and storyteller Trent Sheppard as he shines new light on the vibrant humanity of the historical Jesus through an up-close look at Jesus' relationships with Mary and Joseph, with the God he called Abba, with his closest friends and followers, and how, ultimately, his crucifixion and resurrection finally and forever redefine what we mean by the word God. Come encounter the human who radically transforms our view of God. Come encounter the God who forever changes what it means to be human.